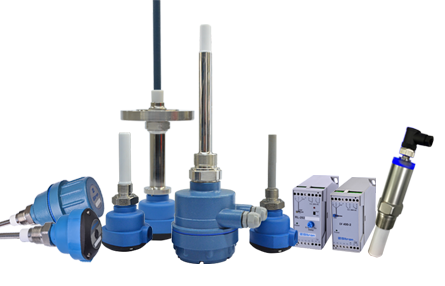 The SC750, SC200, SC600 and SC400 Capacitive Level Switches are designed to detect and control the level of conductive and non-conductive liquids, solids, pasty mediums and corrosive liquids among others. The SC750 and SC200 are usually applied in applications with ambient pressure and temperature ranges. They work well for liquids or solids with a low or high dielectric and are also ideally applied in corrosive mediums as they can be configured entirely in plastic. The SC600 is an ultra-compact 316SS capacitive level switch with no housing, yet it comes with a built-in SPST relay mounted within the small body of the unit. The SC400 with LV400 relay controller features a more robust wetted part that is well suited for high pressure and high temperature application requirements. No video is available at this time for this item.